The Russian Football Union (RFU) has been officially notified about the UEFA disciplinary body's decision on imposing a fine of 150,000 euro on the organization and the national team's suspended disqualification from UEFA Euro 2016, accepts it but views it as too severe, the RFU said. "The RFU accepts this verdict, although it sees it as extremely severe," the RFU said in an official statement circulated on June 14. The RFU has called on all Russian fans to behave correctly and adhere to the rules of conduct at stadiums and at public places, as any repeated violation during the Russian national team's games at the tournament would lead to its automatic disqualification. "The Russian team, as well as millions of fans from our country, should not suffer from injudicious actions of certain individuals," the RFU said. 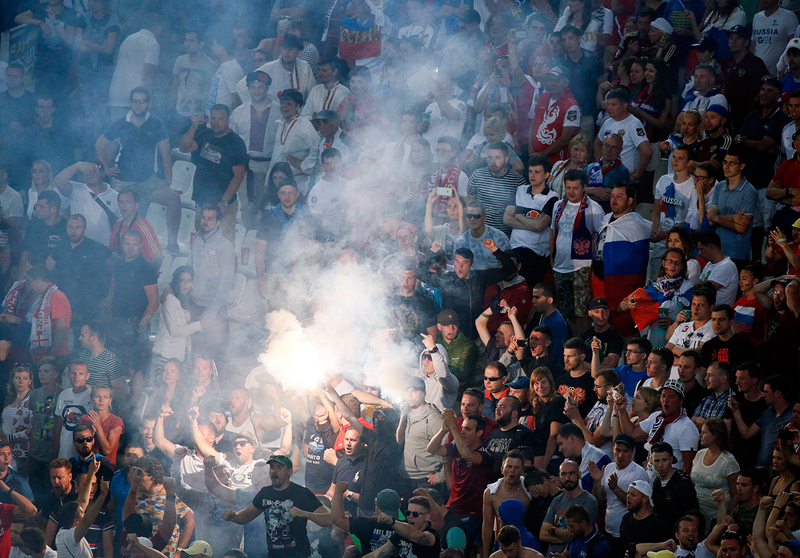 Earlier UEFA has decided to impose a 150,000-euro fine on the Russian Football Union (RFU) and a suspended disqualification on the Russian national team over the disturbances staged by Russian football fans following the Russia-England Euro 2016 match on June 11.